Lately I have been addicted to the show Cupcake Wars on the Food Network and have been watching it so much that I've turned my mother onto the show. The one downside to watching Cupcake Wars so often is that you start to crave cupcakes and think of all sorts of crazy flavors. A few weekends ago I decided I needed to feed my crave and had to make some cupcakes. Deciding on what flavor to have was the hard part. As a kid I loved having root beer floats so I thought, why not make a root beer float cupcake. But I wanted to make it over the top by doing two different frostings. A vanilla cream cheese frosting on top, and a root beer infused butter cream inside the cupcake. I think these would also be really good with just a scoop of ice cream on top instead of icing. I'll forewarn you, these cupcakes are a little time consuming and are highly addicting! I added a little straw to each cupcake for fun but they sadly weren't edible. I then stored the cupcakes in the refrigerator and when it came time to eat one I pulled it out and let sit a few minutes to come to room temp. It's funny, as I'm working on this post I swear I can smell root beer! These cupcakes are so yummy and I think you'll be really happy with them. My parent's loved them so much that my mom already requested it for our 4th of July bash! The recipe for these cupcakes came from three different sites so I compiled them into one and included it at the bottom for you. Let me share some of my tips with you before I give you the recipe. 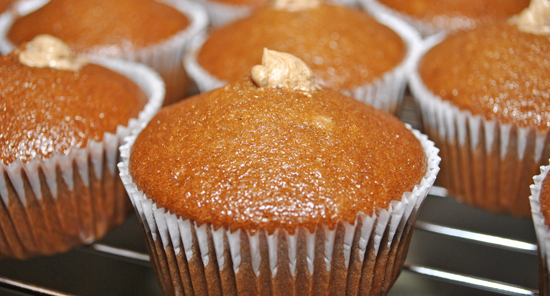 - An easy way to fill cupcake tins is to put your cake batter into a large ziplock bag and cut off a tip. Then you can easily squirt batter into the muffin cups. - Same thing for the icing! Don't invest in a ton of pastry bags that you have to wash to reuse. Buy the icing tips and then just insert in a ziplock bag and cut off a corner till it fits snuggly in. - I used a little more root beer concentrate for the butter cream and cake batter than called for, just a few drops more-not much. I wanted to really taste the root beer when I bit into the cake. -If you really want to make these but can't find Root Beer Concentrate, email me (HERE) and I would be happy to send some to you! -I 1 1/2 the cake recipe when I made it to get 18 cupcakes but the icings were more than plenty without 1 1/2 it. 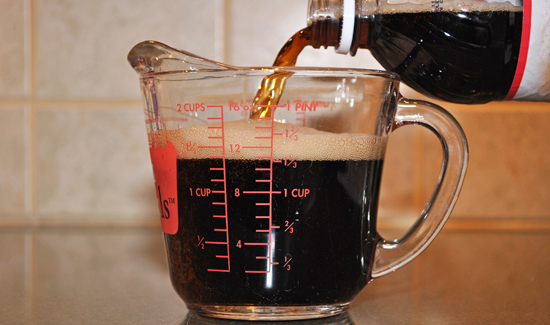 Combine root beer soda and vinegar and let stand for a few minutes. Add in the sugar and oil, whisking until slightly frothy. 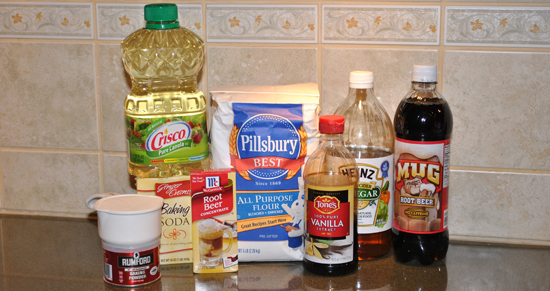 Mix in your extracts, and slowly add the flour, along with the baking powder, baking soda, and salt. Careful not to over mix. Bake for about 18 – 22 minutes. Put the powdered sugar and butter into the bowl of an electric mixer. Add the root beer extract and root beer and continue beating until it is the consistency of a light, fluffy butter cream frosting. Add more root beer extract to taste if necessary. Beat cream cheese and butter until well blended. those look so delicious and awesome!